Your stem cell theory is based on a non traditional perception of health and disease. Can you tell us first about the traditional? The traditional way of looking at health and disease is that someone is attacked by bacteria or a virus and you must do things to eliminate the virus or bacteria. Or, perhaps that person might have an organ that is not functioning as it should and they develop a disease. In that case, you do something to compensate the functioning of that organ. It is from this vantage point that medicine typically seeks solutions. What is the different under your theory? When we discovered that stem cells will migrate to a problem area and become healthy cells of that tissue or organ, it completely changed my outlook. When we discovered that stem cells are the building blocks of the body and that every time there is a problem, stem cells will migrate to the problem area and become healthy cells of that tissue or organ, it completely changed my outlook. With the discovery of this role of stem cells in the body I saw that this brings an entire new approach to the concept of health. How does this apply to the way we look at health? Instead of trying to do things that eliminate the bacteria or eliminate the disease or compensate for the dysfunction of an organ, we should instead do things that will support the natural healing system of the body. It opens a whole new horizon in the field of health. Instead of eliminating the problem we can prevent the problem and support the ability of the body to heal itself. The potential here in the areas of health and healing is world-changing. Are these embryonic stem cells and where do they come from? We can prevent the problem and support the ability of the body to heal itself. The potential here in the areas of health and healing is world-changing. No, these are adult stem cells which are made by your own body, specifically the bone marrow, over the course of your lifetime. When there is an injury or disease, the damaged tissue or organ releases a chemical that migrates to the bone marrow and causes the release of stem cell from the bone marrow. The released adult stem cells then travel to the affected area and become healthy cells of that tissue or organ to commence and effectuate the healing process. 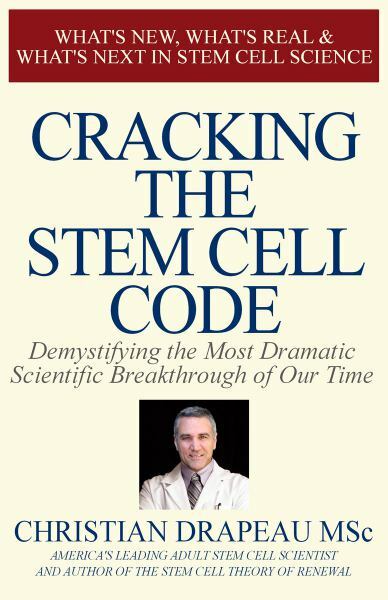 The title of your new book is Cracking the Stem Cell Code; can you tell us the premise? We have discovered that a modestly increased level of circulating adult stem cells over an extended period of time can have an amazing effect on wellness. 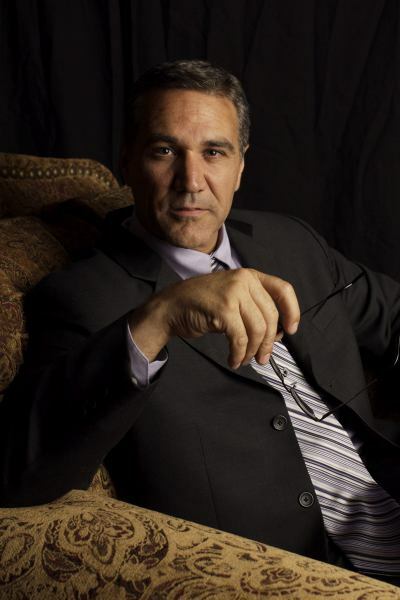 In the book I detail why adult stem cells are truly the future with regard to the stem cell promise. The book’s premise is that the discovery that adult stem cells are the natural healing system of the body is the most significant scientific breakthrough of our lifetimes and I write about the science behind the latest discoveries and what we might expect in the future. Although it is written in laymen’s terms, the information is thoroughly referenced with more than 400 scientific articles. In what areas of health do you think these developments will have the largest impact? The discovery that adult stem cells are the natural healing system of the body is the most significant scientific breakthrough of our lifetimes. I write about the science behind the latest discoveries and what we might expect in the future. Altogether these developments will impact 3 areas of health and wellness. First, the field of anti-aging and disease prevention, though in light of all the information on stem cells, I prefer to call it health maintenance. When we understand that on one hand most diseases are the results of a loss of cells in an organ or tissue, and that on the other hand the role of stem cells is to naturally travel to organs and tissues in order to replace cells, then it is an obvious conclusion; increasing the number of circulating stem cells becomes one of the basics of health. Second, over the past year or so, many studies have linked the development of various diseases with the number of stem cells in the blood; people suffering from various diseases have on average a lower number of circulating stem cells. So simply increasing the number of circulating stem cells could help people improve their health condition. And what is the final area of adult stem cell science where we can expect these high-impact results? The field of injury medicine and recovery from surgery. Many studies have shown that stem cells circulating in the blood contribute to the repair of injuries, and for the body this includes surgery. Increasing the number of circulating stem cells will become a basic thing to do to accelerate from the recovery of an injury or surgery.